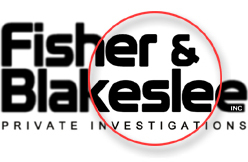 Fisher & Blakeslee, Inc., based in Gainesville, Florida, is a licensed private investigative agency, conducting investigations nationwide since 1977. Specializing in work for attorneys and businesses, we offer a wide array of investigative services. We bring to each unique investigation a combined total of more than 50 years of experience in solving the varied and complex problems encountered by our clients. Working with the best attorneys in the region, we have been integral in the successful outcomes of many high profile cases over the years and as a result, cases come to us more often by referral than by any other method. Our name is our reputation. We bring to each investigation a strong personal commitment, a depth of knowledge, attention to detail, and the highest standards of professionalism.